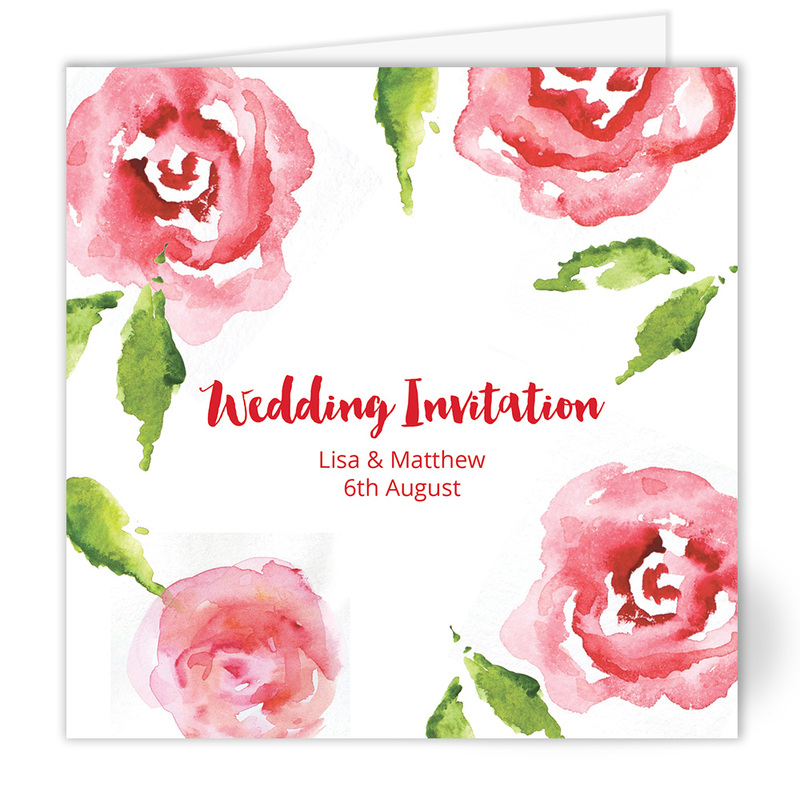 The Watercolour Roses wedding invitation from Chapter One captures the essence of an English rose garden. Bold pink roses painted in a carefree watercolour style still look wet as if they have been freshly painted not digitally printed. The hot pink text picks out the bright pink detail at the centre of the roses. Close your eyes and you can almost feel the summer warmth that this card radiates, now take a deep breath of air through and its not hard to imagine the sweet scent of the roses hit your nostrils. It never fails to amaze me how simple splodges of paint can form the most realistic looking and artistic of flowers. If I were to try and draw a rose with a paintbrush and a few tubes of watercolour paint I would overcomplicate the task at hand and try to draw every single petal. I certainly wouldn’t be able to achieve the freshness and contemporary look of this card. One of the best things about this design is the flexibility of the personalisation. You can have the name of bride and groom and wedding date on the front in a choice of fonts and the best bit is that Chapter One will print each and every guest name inside your invitations completely free of charge. All of this is done online using their nifty online personalisation tool. They will even print your place cards with guest names free of charge. It is refreshing to see a company also price their invitations the same regardless of the quantity ordered so if you are having a small wedding they will not penalise you on price by charging a high unit price for a low quantity.